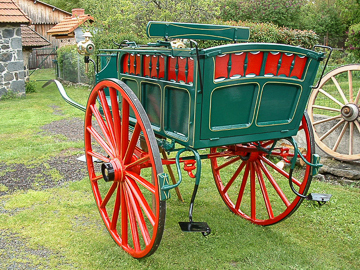 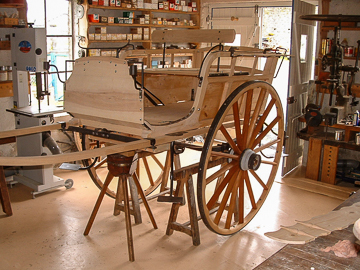 "I repair or manufacture all kinds of horse-drawn carriage wheels and I also remake complete carriages (hippomobiles)"
People who call me are passionate about tradition and sometimes want to revive a family heritage. 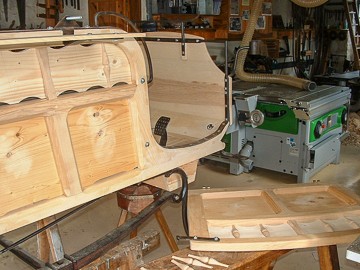 If the vehicle is too damaged to be repaired, I rebuild from either the original model or from plans resourced from my documentation and I also draw my plans to adapt the car to customer needs. 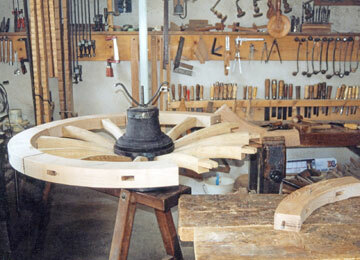 I always try to keep as many of the original parts as possible. 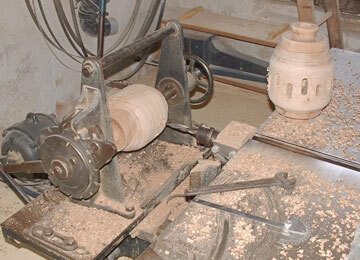 I believe in conservation whenever possible. 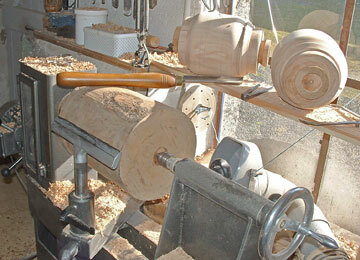 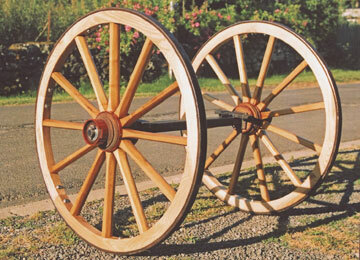 I remain faithful to the wood used in the past, especially for the wheels. 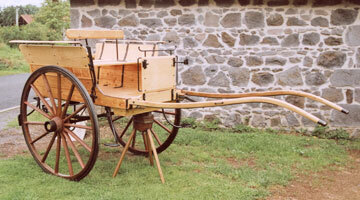 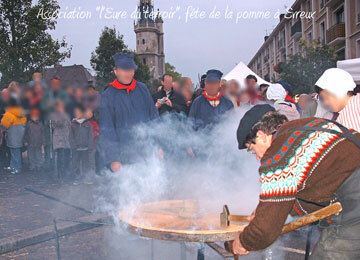 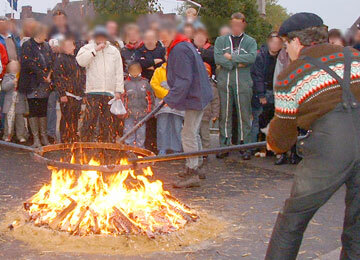 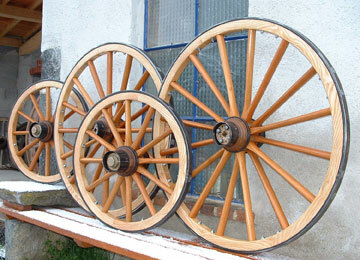 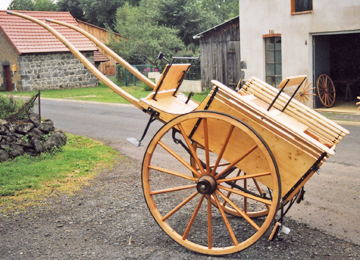 It is possible to restore the wooden wheels, replacing areas of rim and spokes. 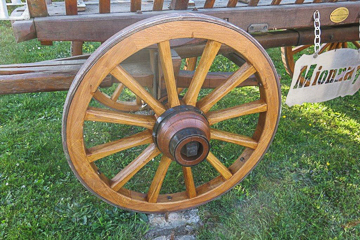 I can also replace or upgrade some profiles of rubber tires. 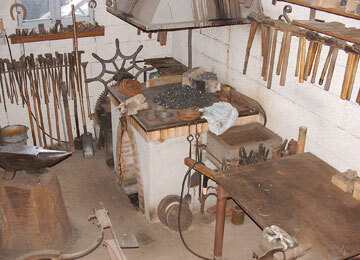 The forge in my workshop. 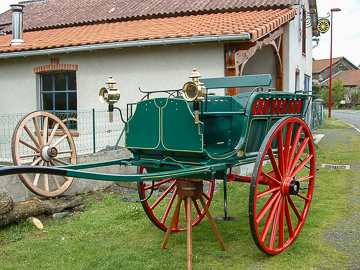 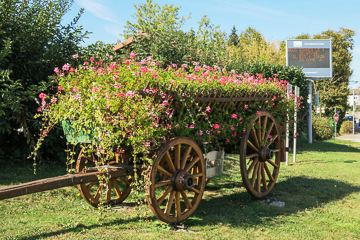 The flower carriage at Mionnay in the 'Ain' department. 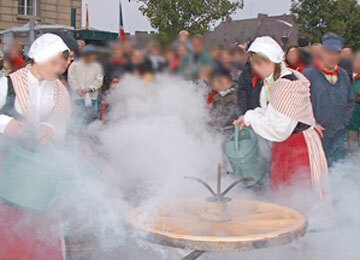 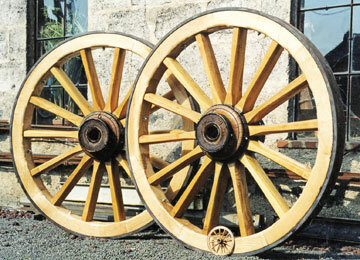 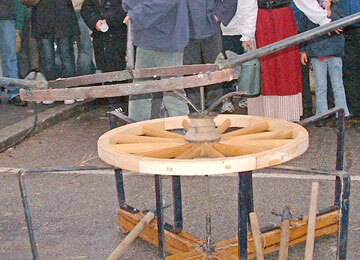 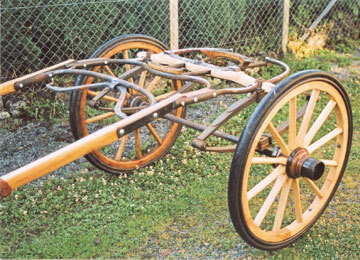 Reproduction of the original wheels.